Brand new!! The Ultimate Japanese cutting tool. A classic design featuring an ergonomic handle for ultimate comfort. Made in Japan from Authentic Japanese Hitachi 440C Steel. An edge so sharp it will melt through the hair. Perfect for slicing, sliding or cutting, wet or dry. Point cut with precision. Features Washi's New Anti-push edge. Includes case and a Texture razor. 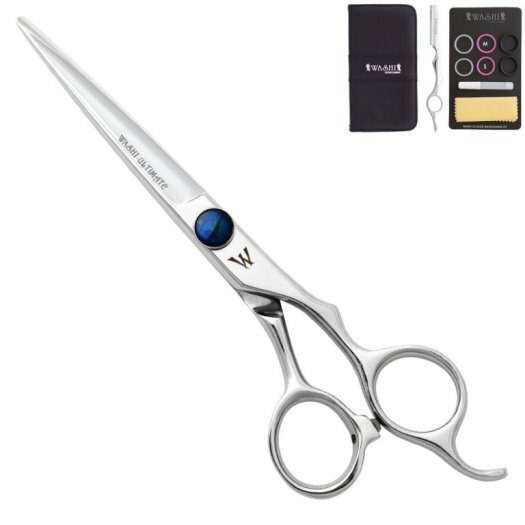 Shear Size: 5.5", 6.0", or 6.50"